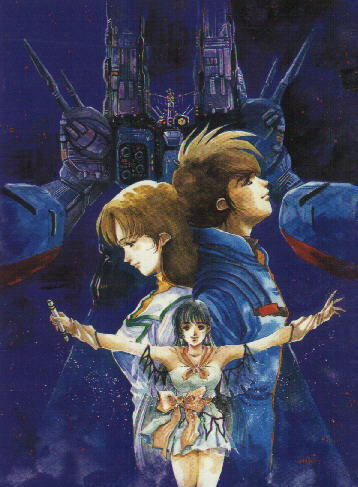 Title: The Super Dimension Fortress Macross: Do You Remember Love? well it’s not something totally new. It is just a retelling of most of the anime. The difference is that Minmey here is a singer and a star from before and as she meets up with Hikaru he already knows her as a famous girl. Though they meet in similar circumstances. But here Minmey actually falls in love with him from the start and he shows some emotion towards her. Also as in anime he doesn’t go along very well with Misa, because she doesn’t show a lot of her feminine side.. But as they go to earth and find that everything is destroyed they fall in each other hands (more like out of despair..). But this time Hikaru is more decisive and as he chooses Miso, he doesn’t jump back to Minmey. This movie tells a bit more understandable (or at least shorter) what actually happened to earth, why it was destroyed, what connects humans and aliens. and in the end what makes aliens to connect their forces with humans. Also as aliens connects with humans through one song the same way Minmey connects with Misa through it..
well I could say that at last here both women have stronger personalities and Minmey (though still goes after Hikaru), but does more than just whine and try to be popular.. this time Misa acts more as a wining kid, when she sees earth destroyed and starts to miss the meaning of living.. ya its tough, I believe its more than you can handle, but dont forget there is Macross full of people wanting to get back to even this destroyed, but still home. 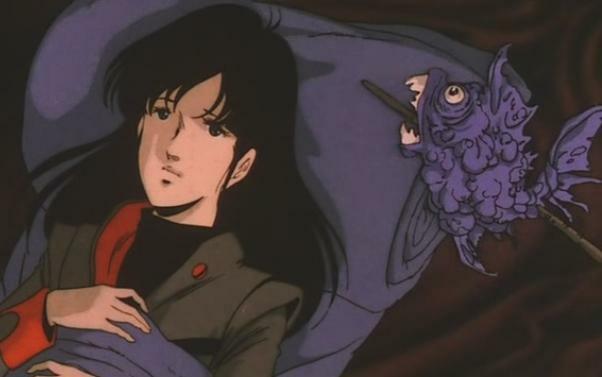 This entry was posted in Movie and tagged Artland & Tatsunoko, Before 1990, Haruhiko Mikimoto, Macross, Noburo Ishiguro, Shōji Kawamori, Studio Nue. Bookmark the permalink.